Hei alle sammen!! (Hi all) First of all, thank you to Bob for taking my place at the February Board and Lodge Meeting. I was basking in the cold and windy city of Minneapolis, watching the University of Minnesota Gophers take a whipping at the hands of the Michigan State Spartans. I could not pass up the Christmas gift that my son purchased for me. The month of February is flying by, and that is flott (great)… maybe it will warm up somewhat! This being my first winter back in “God’s Country,” for the last ten years, makes me lure pa (wonder) whatever possessed me to give up Florida Winters? But, I know that Mars (March) is right around the corner, then April Showers, May Flowers, and SUMMER. I am sure that most of you are with me in wanting this frigid winter to end. Let’s mimre (reminisce). Many of you can think back to winters 50-90 years ago. We usually had a lot more snow, huge drifts some so high that we could tunnel through them and make snow forts. We thought this was moro (fun) and of course, we did not have the warmth of the type of clothing we have today, but we survived. Also, the temps (about 75 miles North of Detroit lakes) were more frigid. It seemed like it was nothing to wake up to -20 to -40. It was so cold that the outside thermometers froze up, and we did not even have “wind chill” in our ordforrad (vocabulary), but we survived. On these morgener (mornings), it was a luxury if your car would start and you could head for town. If not, you nestled in by the wood cook stove or the fuel burner and had family time reading or playing card games. And probably for most of us on these cold days, we did not spend much time reading the Sears or Montgomery Wards catalogs in the uthus (outhouse), but we survived. I, for one, am lykkelig (happy) that I had the experiences of living with a wood cook stove. Filling the fuel burner so that we would have some heat during the night when the wood stove fire went out. Splitting wood and bringing to the woodbox in the lean-to. Carrying vann (water) from the pumphouse by the barn, to the hus (house) and again, it was so cold that I ran and spilled the water on my pantlegs that immediately turned them to frozen leggings. Going to bed with at least 3-4 quilts on top, endring (changing) from bedclothes to day clothes under the covers, in the morning, because the house was kald (cold). Seeing my breath in the mornings, not only outside but also inside. There are many more examples of things that we may have opplevde (experienced), and even though we may not have had things that others may have had, we did have a loving family, and that kept us varm (warm), and we survived! 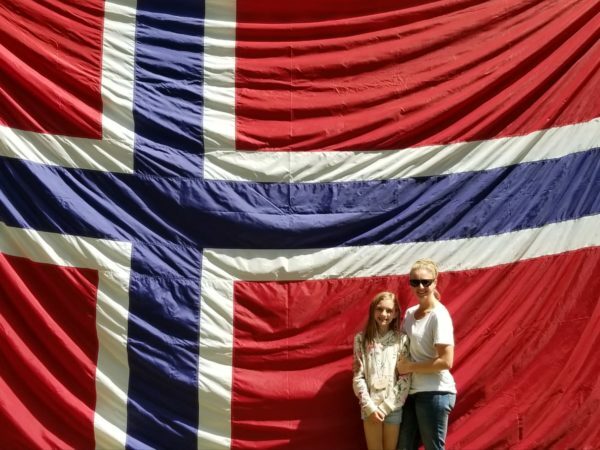 Family, friends, and memories are part of our Scandinavian heritage that we hold on to and cherish. Velsignelser (Blessings) on your reise (journey through life. I think I feel a little hint of spring in the air! Maybe it is wishful thinking, but after all, it is March! We have several exciting events on the horizon staring off with March 4, A WINTER SCANDINAVIAN FESTIVAL. The festival will be at Trinity in Detroit Lakes. Beginning at 11:30 we will have demonstrations of Scandinavian crafts, an artifacts table and of course food. A small cup of soup, open-faced sandwiches and then samples of baked goods. We will have Norwegian folk dancing about 1 pm. The event is free and open to the public. There are many posters up around town, an article in the local paper and on March 1, KDLM. Put this on your calendar, See you then! Next event to look forward to is Vikingland regular meeting. Starting at the 5pm board meeting (all officers attend if possible) then at 6 pm CHILI DUMP each family bring a small amount of chili, and we DUMP it all together in a large roaster. MMMM good. Please bring your chili hot, as in temperature. Those of you who signed up on Sharon’s sheet to bring cheese, sour cream, bars, etc. need not bring chili. Our program for the evening will be Maureen Berg from Pelican Rapids with her presentation on Memory Bears. April brings us our Silent Auction with proceeds to our Foundation. Our foundation monies go towards community projects, so bring and buy! Our program in April is the Marshmallow Foundation from Lucky Dog. Watch for more info as time approaches. Vikingland Lodge is an active organization with many exciting projects. Come take part!!!! We have exciting things happening in the next couple of months. In March we are sponsoring the Scandinavian Festival on March 4 at Trinity Lutheran church. The festival is an opportunity for our lodge to showcase our heritage to the community. We will have tables with traditional foods as well as crafts. The NorSweDane dancers will perform at about 1:00. This event is open to the public, thanks to all of our lodge members for volunteering and helping out with this. Wear your bunads or Scandinavian sweaters to the festival. April will bring our Silent Auction fundraiser. We always use the funds raised at this event to give back to our community and the International Foundation. A little birdie told me there was a possibility of someone donating a homemade pie this year, yummm. Other donations and bidders are the key to success. Thanks to all for your generosity so that we can continue the tradition of giving. Please send warm thoughts (varme tanker) and prayers (bønner) this month to Chuck Jensvold recovering from knee surgery. Bob and Dorothy Hoover on the loss of Bob’s brother. I came across a very interesting place called Lofoten. It is well known in Norway for its outstanding natural beauty, but its reputation does not seem to have become global. 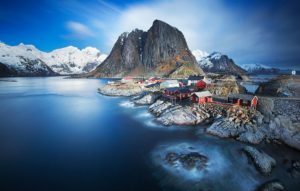 Lofoten has the potential to become a beautiful location for tourism and could be as popular as Cancun, Mexico or Jamaica vacations. An unexpected delight, it’s early settlers must have thought they had stumbled across an arctic paradise. What they found there was a sea teeming with life and the most extensive deep-water coral reef in the world. 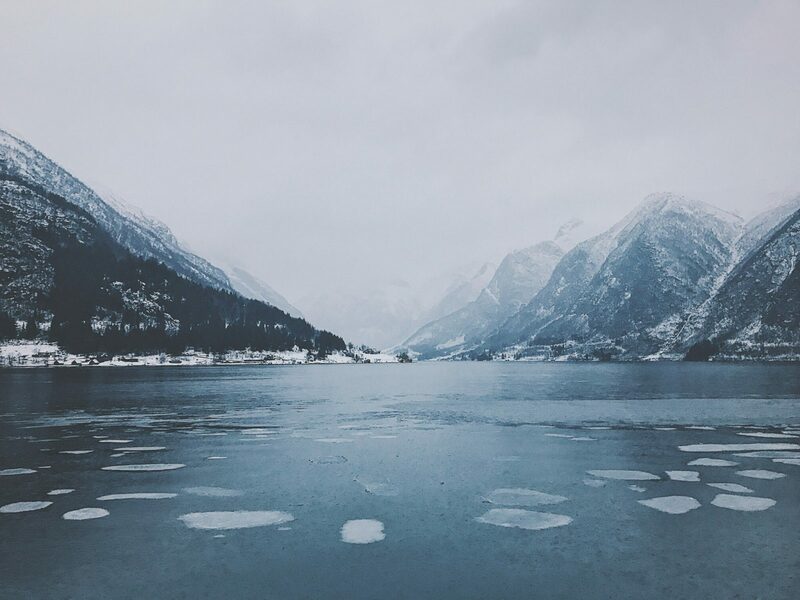 Located between the 68th and 69th parallels North of the Arctic circle, it must surely be one of the most incredibly beautiful natural places on the planet, not to mention tranquil. The settlers gave one of the islands the name Lofoten which is Norse for “the foot of the lynx.” People were drawn to the area mostly because of the sea life. Because of its climate, it has been the center of huge cod fisheries for over a millennium. Also famous for stretches of the seashore with sandy beaches which lie on the sheltered inlets. It is the most Northerly place in the world where the temperature is above zero all year. 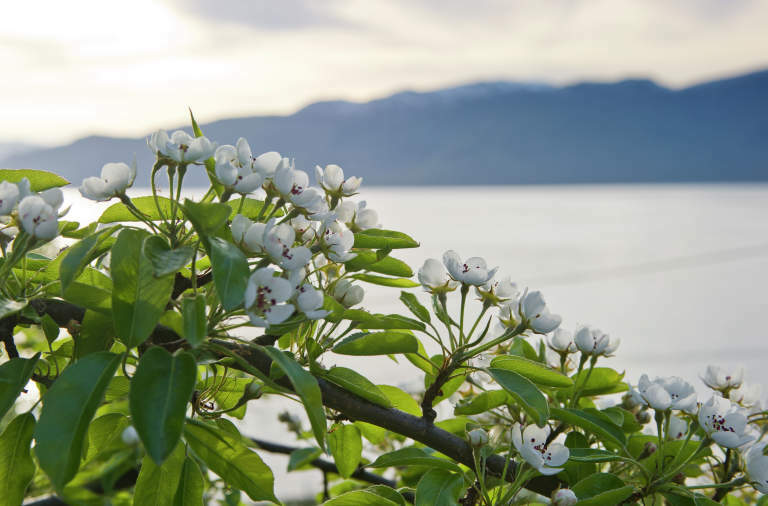 Being so far North you can experience the midnight sun from May 26th thru July 17th. But in the winter no sunlight at all from Dec 9th to Jan 4th. Neither condition is ideal for human habitation or happiness, so there is a downside to the place. Perhaps the place’s lack of fame outside of Norway is something deliberate. After all, would you share this place with the rest of the world? Find pictures online at www.kuriositas.com. Until next month, stay warm and know Spring is on its way! Rich wildlife, arctic nature, and a few thousand polar bears are all found on the island of Svalbard. Known for being the world’s largest untouched wilderness area, many find this untamed nature enticing. With warmer temperatures arriving and ice encompassing the archipelago beginning to melt, visitors set out on an expedition for an unforgettable experience. The snow-drowned peaks and vast ice fields of Svalbard call to explorers longing for adventure. As the sun never seems to set in the summer months, visitors can experience the Arctic landscape by participating in a wide range of attractions all day long and into the evening. 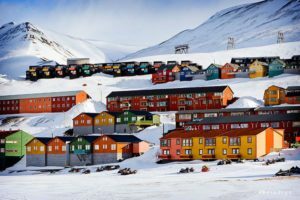 Activities include dog sledding through the snow-covered landscape, sailing around the rugged fjords and witnessing polar bears roam the sea ice, or walking around the settlements of Longyearbyen and Barentsburg. Svalbard offers visitors cultural events and festivals all year round. Only a three-hour flight from Oslo, the island of Svalbard is growing to be a tourist attraction for thousands of visitors around the world. To learn more about experiencing Svalbard, visit https://svalbard.nordicvisitor.com/. Show of your talent and celebrate Norwegian culture by participating in the International Folk Art Competition & Exhibition, part of the 2018 International Convention in Bloomington, Minn., August 16 -19. Check-in for the event will begin on August 15, and the exhibits will be open for public viewing August 17 and 18. Amateur and professional Sons of Norway members can compete or exhibit work in several Norwegian folk art categories including rosemaling, hardanger embroidery, hand knitting, photography and several others. All participants will receive a certificate of recognition and have the option to compete for 1st, 2nd and 3rd place ribbons. Members will also have the chance to compete for the Best in Show Award given to judges’ overall favorite item and the People’s Choice Award, selected by popular vote. Register in Advance! Preregistration is the only way to guarantee an artist’s spot in the International Folk Art Competition & Exhibition – space is limited. Registration will be available in the coming weeks, and more information regarding requirements, categories, competition guidelines and more will be posted online at www.sonsofnorway.com/folkart. Please check back often for details. All participants must be Sons of Norway members. All items must have been completed within the last two years. Members do not have to compete in the district level in order to compete in the international level. Artists must bring items to the Folk Art Competition & Exhibition themselves or make arrangements for an attending member of their district to bring the items for them. 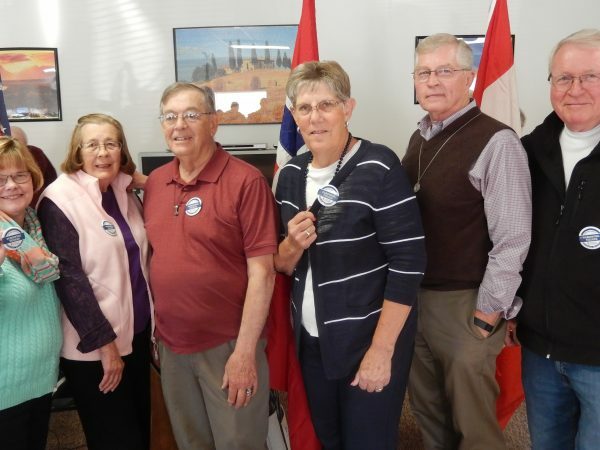 Items mailed to Sons of Norway Headquarters or the International Convention location site will not be accepted. 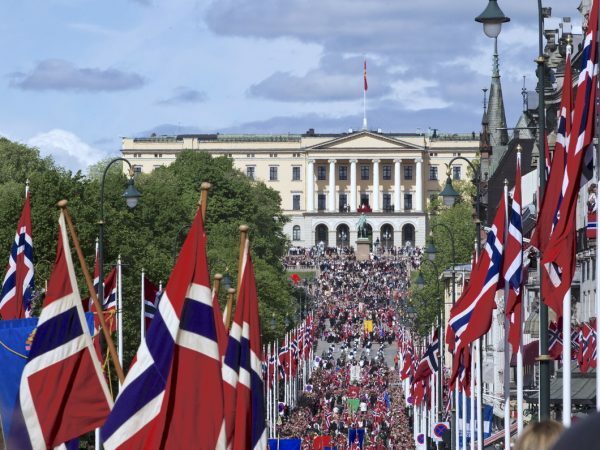 If you have questions regarding the competition and exhibition, please contact Sons of Norway Headquarters at (800) 945-8851. March 20th marks the spring equinox and the beginning of spring. Soon the flowers will bloom in our Norway home. Norwegian archivists have found hidden treasures in medieval accounting protocols, including a slightly di erent version of the saga of St. Olaf. In the 16th and 17th century there was limited access to parchment, and those who recorded the accounting protocols may have considered it a great idea to use old manuscripts to reinforce their binding. Parchment was made from animal skins, most often from calves or sheep. If you needed large pieces of parchment, you might want to slaughter a sheep for each page. It was expensive to make new ones. Around 1850, when historian P.A. Munch learned from the national antiquary of the day that there were a considerable number of parchment manuscript scraps “hidden” in accounting protocols from the 15th and 16th century, he must have been quite elated. The manuscripts were in Latin and Old Norse, but it was the Old Norse that Munch was interested in, especially the pieces from saga manuscripts. He had known of many preserved saga scripts prior to this, but all those pieces that now came to light indicated that in the 1600s there were probably a great many copies of the sagas all around Norway, he believed. And saga literature about the old Vikings must have still been popular. Tor Weidling , senior archivist at the National Archives in Oslo, is one of the people who have worked with around 550 pieces of Old Norse manuscripts that have been collected over time. They are now are posted online and can be viewed at www. digitalarkivet.no . Norske arkivarer har funnet skjulte skatter i regnskapsprotokoller fra middelalderen, blant annet en litt annerledes versjon av sagaen om Olav den hellige. en svært god idé å bruke gamle manuskripter til å forsterke innbindingen av dem. Pergament ble nemlig laget fra dyreskinn, som oftest fra kalv eller sau. Trengte man store pergamenter, måtte man gjerne slakte en sau for hver side. Det var dyrt å lage nytt. Da historikeren P.A. Munch rundt 1850 kk vite av den daværende riksantikvaren at det var en ganske betydelig mengde biter av gamle manuskripter på pergament «skjult» i regnskapsprotokoller fra 15- og 1600-tallet, skal han ha blitt svært opprømt. men alle disse bitene som nå kom tilbake i lyset, tydet på at det fremdeles på 1600-tallet må ha vært en stor mengde sagaer rundt omkring i Norge, mente han. Og at sagalitteraturen om gamle vikinger fremdeles måtte ha vært populær. Førstearkivar ved Riksarkivet i Oslo, Tor Weidling er en av dem som nå har jobbet med de rundt 550 bitene av norrøne manuskripter som etter hvert ble samlet inn. Nå er de lagt ut på nett og du se dem på digitalarkivet.no.